Hobbico RealFlight 8 « Big Squid RC – RC Car and Truck News, Reviews, Videos, and More! Coming later this month from Hobbico is RealFlight 8. The RealFlight simulator has been turning people into pilots for many years now, the 8th edition is highly updated to be the best flight simulator yet. 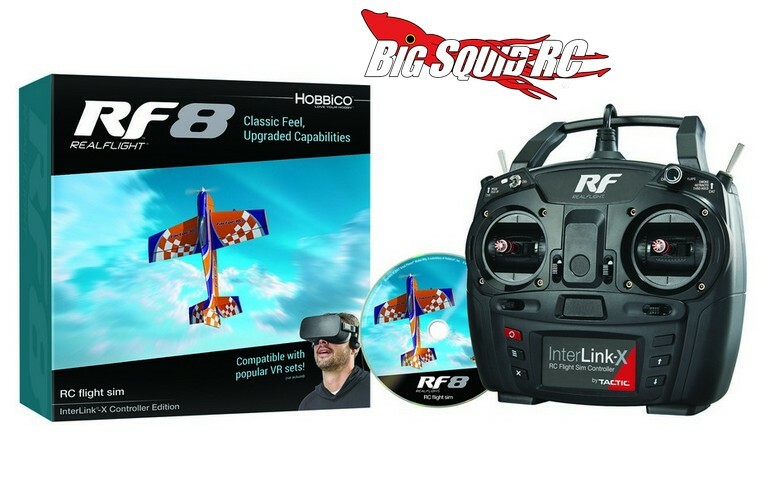 The RealFlight 8 software only is priced at $99 while the version that includes InterLink-X Mode 2 is $179. These will be shipping soon and you can get complete details After The Jump. Read up on more Hobbico News right here on BigSquidRC.